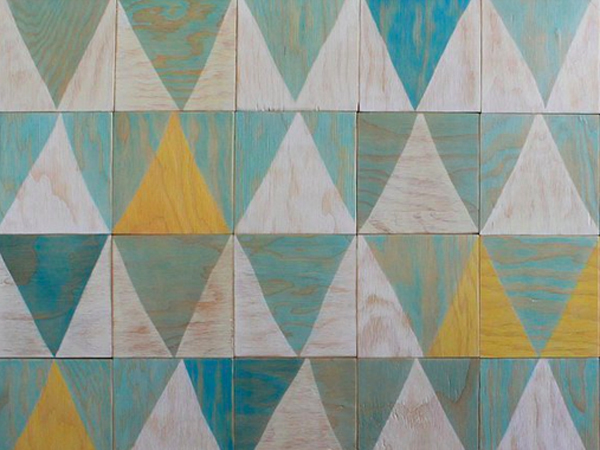 Brooklyn-based studio Moonish has created a range of magnetic wooden tiles made from marine plywood. 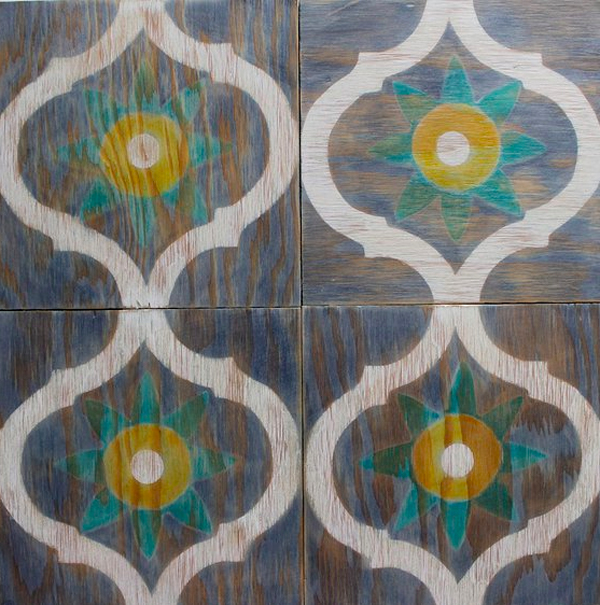 Each tile is hand-painted with acrylic paint and water-based, natural dyes. 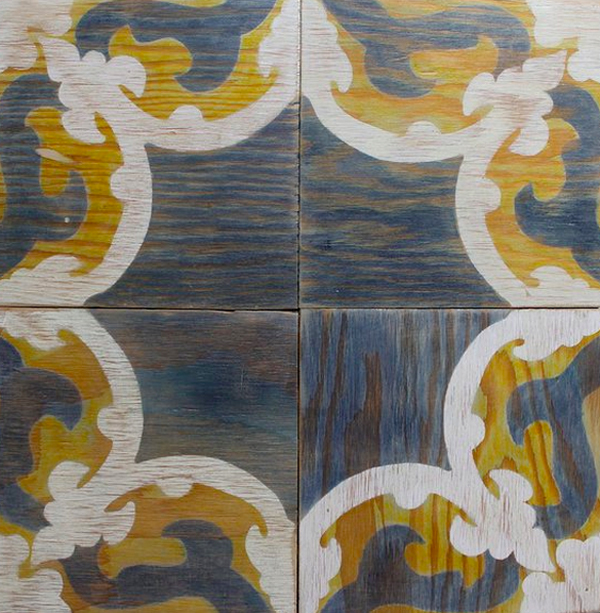 Tiles are sold by the square foot, with samples starting at $5, and are described as a "renters delight" by Moonish founders Matt and Giovanna Taylor - because all customers have to do is arrange and rearrange the compositions, taking them with them when they move property.